As a Sydney resident soon getting married, you likely want a reception that overlooks the famous harbour. The wedding venues available are numerous, though many of them book up fast. While some are bigger and more opulent than others, you may prefer something somewhere in the middle. Let’s have a look at your customised wedding with harbour views at Sydney Dance Lounge. Sydney Dance Lounge is a good choice if you prefer to hold your wedding reception indoors. 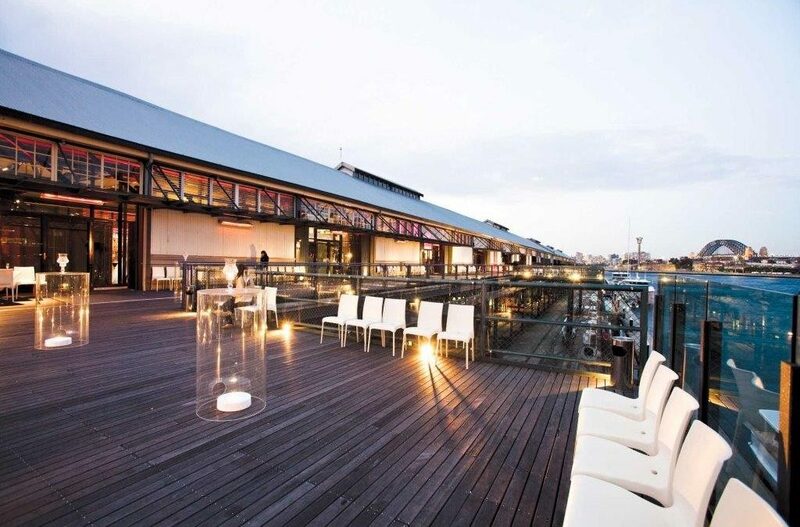 Located within the Walsh Bay Precinct, the harbour views are amazing here. The interior also holds a rustic charm you don’t find in many lounges around the city. Sydney Dance Lounge weddings are common, so it again pays to book early. Once you book for your wedding reception, you’ll notice one great strong suit: They allow a lot of customisation. For wedding entertainment, it’s a plus, something we can help with at Lily Road. Because this is a restaurant and lounge, you can expect food to become the central focus. Not that the surroundings don’t matter. Even so, if you want your wedding to have a food theme, the menu here is very diverse. The tasting plates are especially notable, something available for breakfast, lunch, or dinner. This is one of the few lounges along the harbour open all hours for every meal. It means you can book your wedding reception here at any time of the day and not just for dinner. Take a look at their diverse menus to see what food you might want to serve at your wedding party. As part of the customised experience, you have a menu choice to build your own breakfast. For lunch, your guests can enjoy some of the best burgers in the area. Dinner has a number of exquisite seafood dishes, along with other meat options. Their wine list is additionally diverse with numerous Australian and European wine blends. While your guests eat, they can enjoy hearing the wedding band or wedding singer you hire in the lounge. Fortunately, the acoustics and setting are perfect to hear your favourite songs for weddings from our popular Lily Road Band. The singers and your Sydney wedding band we can provide for your wedding enjoy playing intimate lounges like this. One reason is it enables the performers to get in closer to guests to make the songs resonate. This isn’t to say we don’t often play large, luxurious venues. What’s important is atmosphere, and Sydney Dance Lounge has a lot of it. Once your guests arrive, they’ll be able to enjoy hearing your wedding entertainment immediately. The lounge serves canapés in the heritage pass breezeway to get everyone in an instant partying mood. As you can see from the lounge’s website, the interior of the venue is large with spacious tables. Views of the harbour are nearly uninterrupted, providing the best romantic setting without being exposed to outside elements. Many wedding venues in the Sydney area force you to stick with the design they already have in place. Sydney Dance Lounge goes the extra mile to help you customise the entire lounge to fit the theme of your wedding. This is good news when you want a unique wedding singer or band to perform inside. Our Lily Road Band has one of the most diverse music playlists you’ll find in Sydney or Melbourne. Plus, we can find a group of wedding singers (or just one wedding singer) to match the overarching theme you want. Thanks to the lounge giving you other design options, you’ll add to the environment. They even connect with a local business called The Flower Room that can load the entire space with floral arrangements of your choice. Visit us at Lily Road to book our musical talent at Sydney Dance Lounge for a musical experience you won’t forget.